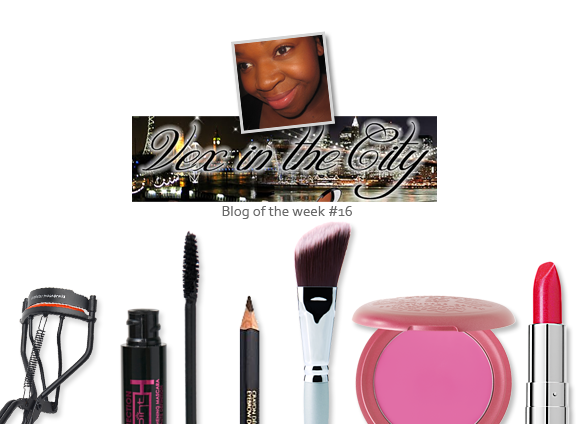 This week’s Blog of the Week is one that even the newest members of the beauty blogosphere will be well acquainted with, and that’s the fabulous Vex in the City. Yinka’s blog is fun, glam, and authoritative, giving you the lowdown on the latest and greatest products honestly and knowledgeably. One of my favourite parts of the blog if the Vex Recs and Rates, a page whereby Yinka lists all of her favourite products. Sometimes you need a little no-nonsense ‘this is what I use and love above all others’ push to get your makeup collection started, especially if you’re not fully integrated into that world just yet. With all of the different products that bloggers get to try on a daily basis, its nice to know that there are some staple products in their makeup bags that they will never be lured away from! Another thing that is incredibly useful – and is information I have actually passed on to friends and my sister-in-law – is knowing which foundations work well on darker skin tones.Yinka’s list of shades that work well on her is not only brilliant for those with a similar skintone, but is also good for highlighting which brands cater well to those who struggle to find a foundation colour that is dark enough. It’s a such a little thing, but it’s a great example of how the beauty blogosphere gives a helping hand every day to those who can feel a little alienated by the plethora of brands. A little down-to-earth rundown of shades makes a world of difference! Pay a visit to Vex in the City and get tonnes of help, advice, and beauty news right here. This entry was posted on Sunday, April 24th, 2011 at 2:52 pm and is filed under Blog of the Week. You can follow any responses to this entry through the RSS 2.0 feed. You can skip to the end and leave a response. Pinging is currently not allowed.